"El mejor software de respaldos empresarial"
Netbackup permite tener una flexibilidad a la hora d trabajar con diferentes fuentes de datos y tecnologías. Casi que para cualquier cosa que se tenga que respaldar Netbackup tiene una solución, además cuenta con una integración con VMWare que da una recuperación de desastres casi que inmediata. La interfaz gráfica no es de las más sencillas, falta información en pantalla o maneras más fáciles de obtenerlas. También se podría mejorar el trabajo de diseño de jobs de respaldo. Netbackup es una solución empresarial de respaldos, para aprovechar mejor el costo de la herramienta se debe de tomar en cuenta que se van a aprovechar la mayoría de las funcionalidades que se brindan. La continuidad de negocios. Netbackup permite recuperar una máquina física o virtual por medio de VMWare en cuestión de segundos. Veritas customer support has come along way since leaving Symantec. Quick response and great troubleshooting skills. Capability to monitor the backup server remotely was a great feature added in Backup Exec 16. By adding this feature we are now able to have software loaded on our desktops that connect directly to the Backup server without having to log directly into the server to perform daily operations. Patches fail to install. Each time a patch is distributed the patches fail to run via Live Update and must always be manually done. I think that Veritas could work on the customizable reports. Currently I am unable to pull a quality report that I can produce and give to C level Managments that give a true picture of the environment. I would also like to see if they could incorporate a dashboard through a API for NOC. wide options for backup and restore , BMR is complex but worth to deploy , has an option for dissimilar hardware restore , P2V , almost every plugin is there for every database , database restore has wide option, very flexible to handle huge and complex databases , has an option to deploy in cloud and also has an option to take cloyd components backups , has an option to take Vm backups through SAN transport without taking the ESXi host resources. Very pricey , complex to administer, very hard to troubleshoot , not having proper deduplication feature , only help dedupe which can be included as MSDP and with OST plugin ,such as datadomain , licenseing is difficult to understand . Best tool out in the market for larger clients , huge flexibility to add almost every tools , OS, databases in market . "Unified solution for Physical,Virtual and Cloud environments"
Comprehensive data security.Heterogeneous data protection. Net Backup Accelerator for file and Vmware. Deduplication(Source and target side).Complete and simple virtual machine protection.Instant Recovery for VMware . Intelligent Policy for Oracle and SQL . Auto Image Replication.Integration with storage appliances.Simple and fast snapshot replication.Unified Protection, File & Application Recovery, Multiple types of recovery from a single backup pass - single file, applications, application objects and DR image.Wide Area Network (WAN) optimization. Calendar based backup schedules.Customized retention periods. support for SAP HANA database. Bare Metal Recovery of Physical servers. Granular recovery technology restore . Application aware Backups and Restores . Single Platform across virtual and physical environments . No vendor lock-in DR copy at no extra cost . Source/Client encryption for the highest security as data is protected while in transit and in media. Centralized and integrated key management service for encrypted tape drives. Multiple Net Backup environments can be managed by NetBackup OpsCenter. NetBackup comes with support for many hardware devices like tape drives, tape libraries and disk units. Hyper-v VM backup dependency on Microsoft VSS writers.Dependency of Zamanda for My SQL backup. NO support for RAW disk and GPT partition of VM. No support SAP HANA with IBM power 8 series. Verify the Hardware Compatibility and Software Compatibility list . Purchase capacity based license to go for full features of Netbackup. Protecting the heterogeneous Operating systems Windows, Linux and Unix platforms.Protecting SAP Database with online backup.Protecting both Physical and Virtual environment. I am a database guy and daily deal with Db backups and came across multiple tools which directly backsup data to tape, since I started dealing with Netbackup, I found it useful, easy to use, configurable and most important reliable. Reliability is the most important factor when dealing with backups and restores and in last 4 years of it;s usage I never faced any issue while recovering a backup. it do what it is designed for. Other useful factors are it has de-duplication features, policy controls, various scheduling options, long term backup retention possibility, etc. it's definitely a industry standard for backups and compete strongly with other solutions out in market. -It doesn't provide end to end encryption for Db backups, not sure about file system. if you are an administrator (database, windows, storage, application, etc.) and your requirement is to backup everything to tape and would like to override the disk at middle layer then consider Netbackup in POC/estimation analysis because this is very useful and reliable utility which can backup and restore and with incorporating virtual tape library, recovery can be faster as disk recovery. This tool has graphical interface which is very useful and works well with command line, the help available is sufficient enough to cover most common and day to day issues and available on Symantec own portal/forums. I have done backups and recovery ton times and 99.99% went through without any issue. There are few caveats and fallback too but it all depends upon environment to environment and that is where testing and proof of concept is required. "Heterogenous systems backup and restore solution"
It takes backup of almost every system that we have been using old and new for years. You can manage everything in one page like backup, restore, active jobs, policies, storages, tape drives, media etc. It supports taking backups for physical and virtual servers over network or cable connection. Deduplication feature is perfect for decrease backup size. Installation is easy, implementation is hard. In general, it needs agent installation to client servers. Adding clients to backup management server is so hard! It has some stability issues as to wiindows services crash, losing tape connection etc. And some oracle version backup jobs have always problems whatever you do to fix. In heterogeneous environment, in general, every client needs agent to be installed on itself and it is very hard to configure. Also create alarms or watch for storage free spaces. It is hard free up storage space and needs to work on CLI. This product needs professional assistance sometimes. It is better that if you seperate logging and reporting tools on another servers. We have been reviewed or audited by governmental associations, PCI DSS or other audit companies. We should prove to them backups and restore tests are running well, and show logs and actions on system so that we've been showing all with ease in Netbackup. Our critical systems are running on physical and virtual. It includes DB and file backups and other applications. All we take backup and restore with success or with little problems. "Reliable solution for the enterprise"
It is fast and it is VERY reliable. It can handle anything from small backups (megabytes/terabytes) all the way up to several petabytes. The tool is very configurable, but unlike other tools, it retains the ease-of-use that drew me to Veritas in the first place. We started using the de-duplication feature and found it very useful as well. The Technical Support has improved slightly over the past few years, but it is still rather confusing. It would be nice if there were a centralized dashboard as well. The user interface in general needs an overhaul. We also had some struggles when utilizing this backup solution with HyperV clusters. Try it! I don't think you'll be disappointed. 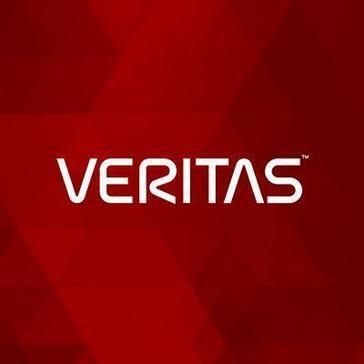 Do your due diligence as there are some pretty good "up and coming" pieces of software that may be able to complete with Veritas NetBackup, but at the time of this review, it was a clear choice. Tapes are slow and costly. This saves us loads of time every time we use it and allows us to easily get the backups co-located at other sites. The fact that netbackup comes WITH a de-duplication tool is awesome. "Robust and reliable backup solution"
Support for multiple environments and platforms. Ability to add new backup policies on the go. Reliable compared to other backup solutions in the market. Faster and reliable recovery possibilities. Many backups fail with exit code -1 which should have option to ignore and to show higher percentage of successful backups. Support from Vertias is not up to the mark. I think you should go for it as this is one of the best backup solutions available in the market. Over the years it has developed leadership in this area and they have added more features and functionalities from time to time. It will also help you if you are looking at disaster recovery options. You got all the features and options to support your backup and recovery requirements. Be careful if you have very specific backup requirements. You need to check if this is available in the netbackup or if any option would take care of your requirement. The graphical interface is very useful and good interface with command line. The help available is sufficient to cover common day to day issues and are easily available on various portal/forums. I would suggest you to take support from the vendor for initial support and then engage NB administrator for day to day support. Overall an excellent product to go with. Enterprise backups have achieved higher successful rates. "Symantec Veritas Backup Exec 15"
As most will know this range of Symantec products were an industry standard for back ups. This means that there is a great deal of knowledge and resource material around for this well established solution. This also means that many IT professionals have also come across this either in their current role or in a previous position. I like the way you can chain jobs together - setting one job off when another has completed. It's also not too expensive and easy to administer. When using tapes as the backup media - There are many options regarding data retention and overwriting periods. It is easy to get in a muddle so getting things planned out is a must. A well thought out back plan is essential prior to embarking on a new system. Backing up to tape allows for good 'old skool' off site options - taking tapes off site to give the resilience needed for a solid Disaster Recovery (DR) plan. "Great Enterprise Level Backup solution"
Single console for multiple backup needs. The ability to configure and maintain one SLP across sites, applications and platform. Migrating to NetBackup has help us a lot in reducing the amount of time needed to monitor, verify and manage our backups. As well as faster recovery. User interface is not very modern, and HyperV support is not as comprehensive ans VMware. There are few challenges to overcome when backing up HyperV clusters that require VMM to work-around. That makes the solution a bit less flexible, and depended on VMM for successful backups of VMs. Much more reliable backups, with less time to manage them. DR across sites, much better de-duplication. - backup files at the Operating System level. I mean, the files and folders you choose. You will need to deploy an agent in the machine that you want to backup. - backup virtual machines, e.g. VMware and Hyper-V. No agent is required in this case. Just provide the credentials of your vCenter. - use different destinations as backup device, tape devices, EMC Datadomain, HP StoreOnce, disk, etc. - it has the possibility to backup applications like Exchange and MS SQL Server. The interface of the product is very complex and for sure you will need some time to get use to it. In order to configure email notifications, a third party tool is required. The reporting is poor because you need to install OpsCenter. Free license is very limited and if you want to have the full version, the license is very expensive. This software is the right solution if your company has a complex mixture of systems to backup. If your infrastructure is simpler then you can go for a more user-friendly tool which fits your needs. We are currently backing up or datacenters with this tool. As said, Netbackup is a powerful tool that provides the required features to successfully backup our business. We backup the VMware virtual infrastructure, the mail server (Exchange) and also some physical servers at the OS level. I like the best that NB has an add-in for SharePoint so in case there's need to restore a single item from a list or document library it can be done easily. I dislike the fact that every server needs a license in a SharePoint Farm; servers such as the indexing server shouldn't need a license if NetBackup will not be used for it. I would recommend engaging with NB or one of their re-sellers to perform the initial implementation to make sure a proper configuration is in place. We resolved our problem with not being able to restoring a single item or a SharePoint site collection which is beneficial. "Reliable bakcup for the enterprise"
It is fast and it is quite reliable. It can handle anything from small backups (megabytes/terabytes) all the way up to several petabytes. The tool is very configurable, but unlike other tools, it retains the ease-of-use that drew me to Veritas in the first place. We started using the de-duplication feature and found it very useful as well. NBAC, VMWare, Communication issues, AIR, Data domain storage issues. With AIR am able to utilize Different media servers across two remote environments. In an ITAR regulated arena this is very handy when it comes to Foreign Nationals accessing particular data. Manageability. The enterprise level heterogeneous backup and recovery is the main benefit. The software is built with cross-platform backup functionality, we implement it in our Windows, UNIX and Linux shop with minimal administration. Performance at times. Upgrades are a risky process, and seems to be every couple of weeks. When creating incidents, tech support wants you on the latest patch. The cost for renewals are expensive. It seems the product was more stream line when it was with Veritas. Single point of access to manage, perform backup/restores from a Web a light weight web browser. "Strong support and ease of use"
The best part of Veritas SO I and Netbackup is the ease of use from not just am implantation standpoint, but also a user standpoint. Intuitive and easy to pick up. The client software had a tendency to crash without erorring out or removing itself from the system tray, which does not make it readily obvious that there is a problem. Server backups, file share and user created directories. It's quick recovery and ease of use are key components of the software, and the main reasons I would recommend it. "Netbackup Admin and a good experience with the Application still after 10 years." The versatility of the application and also the features with VMWare. The query for auto adds on the VC box is very useful in a rapidly expanding environment. Though it could be improved by not failing on simple character syntex. this enables wintel admins to take out the entire policy when adding VM's to simply. The inability to get granular with NBAC and Opscenter to give a operator access to everything but restore for federally regulated data. In Opscenter and NBAC the usage comes into play when you need the users on the box performing operator duties such as rerunning jobs etc but can have no access to data whatsoever. The versatility of the product is good for most needs. However, for easier management of systems CommVault seems to be the way to go depending on your needs. For an enterprise software, it offers the most options for any given environment. While some products do certain things particularily well, NBU addresses most enterprise environment needs. NBU AIR is a technology best. Also, Opscenter, even without the Analytics portion, contributes considerably to our management and day 2 day. Support is tough. After doing your own TS you're then subjected to torturous "flowchart" troubleshooting from frontline. Also, getting software without an update email is difficult, even for items that shouldn't be. From a technical perspective, after 6.0 they quit working with 3rd party Disk providers, as they came out with their own systems. Some options available if I purchased Symantec hardware are not there otherwise, such as client-side dedup. Also, I'd like to see some change on the SQL portion for backups, as these haven't been touched in years, and are failing behind technology. Do your research. Check end of life and paths for products (hint EMC Avamar). NBU AIR is a game changer. It provides instant recoverability in a DR site, without having to rebuild the catalog, or ship a copy of it offsite (any one who knows, knows this to be a pain). Our offsite recoverability times have decreased exponentially due to the flexibility AIR provides. "Extremely powerful and robust backup solution"
We use NetBackup on our larger systems and I never have to worry about our files being protected. This is the most robust backup solution I have ever used! I've used it on multiple large networks comprised of hundreds of terabytes of data with multiple large tape libraries with zero problems. The initial configuration is a bit daunting at first but well worth the effort in the end. Give it a try! It's well worth it! We had the need to backup very large networks with tremendous amounts of mission-critical data. "excellent backup product keeps all our data safe incremental and full"
One of the best things I like about NetBackup is that it has support for all of the products that I use. It backs up VCenter and MSSQL very well. The policies allow me to set up the schedules for these back ups based on the customers needs and time frame. I like the option of using a command line interface for specific jobs. I also like that Symantec started making their own disk appliances that work well with their software. It allows for easy updates and licensing. I don't really dislike this, but I wish it was included. A single pane of glass for archiving and backups would be nice. I would also like a reporting system built into the software so I don't have to use a separate software (opscenter). I would also like to access logs from the GUI instead of having to go to each client or master/ media server to view them. It would make troubleshooting a lot easier. You can't go wrong with their appliances for backups. They have come a long way in making backups easier to manage. Backups to tape were slow and storing tapes is somewhat costly in a large environment. Backing up to disk changed all that. Speedy backups and restores combined with replication offsite. Having to take care of tapes, drives, libraries, and the maintenance for all of that is gone. Disk based backups with Symantec NetBackup appliances has made everything faster. I never really used Veritas NetBackup, but the layout and design is very professional and easy to use. At first it was very difficult to get around, but once you get the hang of Veritas NetBackup, it is very easy. Be using it as it offers a lot of benefits. Veritas NetBackup has a very good GUI which helps even a novice in the field of backup, to know clearly what backup jobs are currently going on, which jobs got successfully executed and how to schedule a new job. GUI sometimes work very slow over intranet. Moreover, its software for GUI should be available on Linux based PCs as well. We take incremental backup every night and it keeps a copy of the data that can be used at a later time. As compared to other backup solutions, it's really good. "Reliable backups after a lot of configuration and troubleshooting"
NetBackup, once configured and fully tested, is a workhorse. We utilize tape backup and de-duplication technologies that work well together. NetBackup require minor fixes and updates quite often. There can be pitfalls and unexpected compatibility issues with the server client and various other tools that we utilize. We need reliable tape backups for large volume of fairly static data. After a recent round of upgrades that required integrator assistance, we now have reliable backups and backup policies in place. "Veritas Net backup all good, all the time." Like the ease of using the Veritas backup program, easy for out end users to do. Once in awhile backup process will take longer then expected, but this only happens a couple times a year. Great backup program, decent price. Good support. Being able to put people at piece of mind that they won't lose their data. "Experienced IT Professional (15 yrs exp)"
2) It's robust and versatile. 3) Interface is easy to learn. Has a straight forward GUI as well as command line options for more experienced IT professionals. 4) Policies allow for ease to stagger backup jobs. 5) Works well with VMWare, which many companies have moved to in the modern age. 1) Support for the product is lacking when you consider the cost of implementation. 2) Environments can become too complex with many policies in place. 3) Cannot reclaim backup tapes until they expire in the system. 4) Shifting policies requires a full backup to implement and overlapping policies are required for certain backup policies since they are tied to the OS. 5) It does a lot, but nothing really great (Provides a lot of options, but masters none). It's a robust system that can serve many needs. It lacks in some areas where other products have specialized. There are many IT professionals who have familiarity with the product, so resources aren't hard to find when implementing it or researching issues with it. Their support is a little lacking for the price, but there is no shortage of information online when troubleshooting issues. You need to stay on top of the policies or this can bog down your staff trying to administer the environment as it grows. It's a solid product and does a decent job. Having the architecture already figured out and sticking to a system works best. It's versatility is the best part about it. It can handle most of your backup needs if not all. Backups and recovery at several companies that I have worked at. It has really improved over the years. I like this Network backup functionality as it can backup hard disk drives on local network. I hate that when my labtop is out of local network and it can't be backup while I am away from home network. My daily backup to Netbackup was working beautifully working well so that I can make duplicate data all the time available. netbackup accelerator is good..which helps in fastening full backups without reading the complete full file system. Net backup replication director is also good . There are many features in it, based on our requirement e can make use of it. It is good for Linux and unix operarting systems backup. "NetBackup is an excellent product that has saved my bacon more than once." The ability to backup to AWS and the ability to use de-duplication. The NetBackup interface could be more user friendly and able to be more intuitive. Make sure you need this level of enterprise backup system but if you do, this is the product. We are enabling data protection and another compliment to our DR plans. Master and Media server management. Multiple media servers can be implemented in an environment for easy backup and restore with different speed of transfer. Ease of use of GUI and interactions. Restore speed is very bad from my experience with Tape libraries. In a small environment with budget who are using backup for all the restore purpose (no storage level replication) will be in trouble if go for NBU restore. Support from Symantec felt some difficulties especially when compares to IBM. Need more enhanced suits like TDP in TSM especially for DB s like Oracle, SQL , SAP etc. I am TSM admin and I have worked with NBU too.. I liked NBU's GUI based jobs and scheduling etc was better than TSM ISL. We can use for small or medium enterprises. Large business requires some enhanced tools like VTL etc. Great tool for backing up. Backup and Restore data in enterprise. Protect data in enterprise. "Excellent image screen capture tool... But almost too many features now"
I really like that I can instantly capture a section of my screen by hitting PrtScrn. Video capture is also very handy for creating educational videos. I dislike that the new version has almost too many features, and the ones I use most often are now buried and have to be manually added to the toolbars. Instant screen capture for documentation. I use NetBackup for my 200+ Linux VMs. I like that we can get API level backups with out needing to install the client on each computer. I appreciate that there is a client for the Linux systems that I can install on my database servers and configure. The process of getting my systems did not take long and was pretty straight forward. For any Linux system admins out there please know that to exclude files you need to create your own file called 'exclude_list' the system does not provide you any other ways to do it. We have file level backups on our servers and we are no longer relaying on our virtualization system to handle backups. Solid reporting with Opscenter, which gets better with each release. Works with any major storage vendor. Best recovery interface of any BMR suite I've used. Adding new features to make DBA's lives easier. The Admin GUI is a little dated compared to other BRM suites. Symantec needs to put focus into managing replications with more Storage Arrays, and deeper recovery granularity into array snapshots. Needs ability to globally set resource limits for VM policies (outside of VIP). One big advantage of netbackup 7 over TSM is the integration with VMware.If you have VMs, then with netbackup you can back up the vmware disks (vmdk’s) and restore individual files from that backup. with TSM you have to do a separate backup if you need the restore of files. Netbackup also supports incremental backups within the vmdk backups. The same with exchange backups. Netbackup can restore a single mail form an information store backup. With TSM you must restore the store at the recovery storage group and use the tool form Microsoft to get the mail. Well this is not exactly better, because to use this option, the store backup must be in a disk storage unit. -Veritas NetBackup does not have the ability to do tape reclamation. With Veritas NetBackup you must wait until the last file on a tape expires before you can reuse the tape. There is also no way to consolidate off-site volumes. - Veritas NetBackup has rigid policies that are part of the backup schedule, and are OS specific. This means you have to have multiple policies for each type of OS being backed up. Veritas NetBackup also recommends having individual policies for each large file system. Any change to a policy requires a new full backup of the data to implement a new policy. I never watch the performance tests, as everyone prepares its tests (based on its strengths) to be as efficient as possible. The product is somewhat costly when you are looking to implement it. NBU hands down is one of the better datacenter backup products. Reporting is good when you need to do bill back for customers. It's made for multi-tenant, allowing your customers the ability to perform backups and restores without intervention from a backup operator unless something goes wrong. Probably one of the downsides is the way they license it. You can get capacity licensing vs ala carte. To me there could be some better pricing structures. I haven't used the product for some time now but this was the pricing that was available when I was using the product. it is definitely a product to look at, it's costly but most of the enterprise products out there will be just as costly when it comes down to it. The product itself does what it says and will backup nearly anything you want it to. The agents are very robust, sometimes problems can be frustrating but their support is very good and will work to help resolve any of your issues. In my current position we do not use NBU. We looked at the product but the way we need licensing to be done, NBU is not a fit for our current environment. Lots of messing about to get something near an ideal working solution for your backup strategy. "End user monitoring system backups and tape drive availability"
The interface is easy to navigate. Filtering your view is simple and powerful enabling me to find and monitor jobs that I need to watch or troubleshoot. It allows access to all of the tape robots so I can see if tape drives are functioning properly, drives need cleaning, scratch tapes are available and if the robot itself is functioning. The ability to run restore jobs is fairly simple as well. At times the response can be slow on older workstations. The learning curve can be large for someone not experienced with the software especially when doing restores. The GUI interface could be more user friendly as well. Some of the features are not clearly available if you don't have a full understanding of the software. Monitoring backups makes the job very easy which allows more time to tackle other projects or tasks. "pretty basic, pretty expensive but it does the job"
It does what it is supposed to do. It is pretty basic. it works. But I think there are better options. we need a backup solution. We have been able to restore lost files. "The best backup tool I've came across till date"
I've used multiple backup tools till date, and nothing is comparable to Veritas NetBackup. The features supported by NetBackup are huge ranging from Database level backup to File system backup, VM Backup etc., and are highly customizable with script based policies/ intelligent policies which will reduce the manual efforts of backing up database/ file systems/ data at any stream. We backup databases/filesystems/ VMs with veritas NetBackup. The ease of use in this tool is highly appreciable. Its multi operating system funcatiionality. The design of the appliance to add grids for additional storage. How it can integrate with myltiple storages. It is an expensive product for any small ormedium sized organisation. It loses to competition hence. Youshould go for the product eyes closed. this has removed lots of administrational challenges. Net backup has a user friendly GUI that help in keeping a track of backups and also perform the backup related activities efficiently. The price of the software is bit high and sometimes the alerts for backups are not that good. Both hardware based and software based. a variety of databases cab be backed up seamlessly :can be used to support oracle database,sap database,and cloud clients,both physical and virtual clients to backup. scheduled backups can be done easily,the interface is user-friendly. "NetBackup solution for virtualized environment"
NetBackup's strength like most other established product has multiple options for protecting your physical and virtual servers. When a particular workflow is not available, NetBackup has the feature that provides that flexibility. For example, if an admin or database administrator is not comfortable with backing a virtual machine as a virtual machine, you can use NetBackup's agent based backup. NetBackup needs to support more storage array vendors solution that supports snapshot based protection like their competitors that are out there. If you know who I mean, if you don't the solution is falling behind. NetBackup needs to catch up with the competition that's out there. Protecting my virtualized infrastructure and applications that are running in virtual machines. "Worked with NetBackup as tech support, design engineer, and admin for 10 years"
NetBackup is the most robust and feature-full enterprise backups software on the market. There is no other backup software that can backup such a diverse level of data sets and clients on so many different platforms. It truly is a one stop shop for all of your backup needs. NetBackup is a huge product. Although it does allow you to backup virtually any data or system it can be very complex. Some of the database and application agents require a significant amount of work to setup and get working. Requires experience with the product to setup and run correctly. NetBackup is a complex product, make sure to plan accordingly when setting up your environment. It is much easier to design/plan before implementation then it is to configure after implementation. This site will allow you to see all things that should be done prior to installing the product. I have worked with NetBackup in pretty much every capacity from design, implementation, administration, and support. Most recently the biggest uses I've seen are the VMWare backup capabilities including Instant Recovery and dynamic polices designed to protect your entire environment. * We monitor all Veritas NetBackup reviews to prevent fraudulent reviews and keep review quality high. We do not post reviews by company employees or direct competitors. Validated reviews require the user to submit a screenshot of the product containing their user ID, in order to verify a user is an actual user of the product. Hi there! Are you looking to implement a solution like NetBackup?